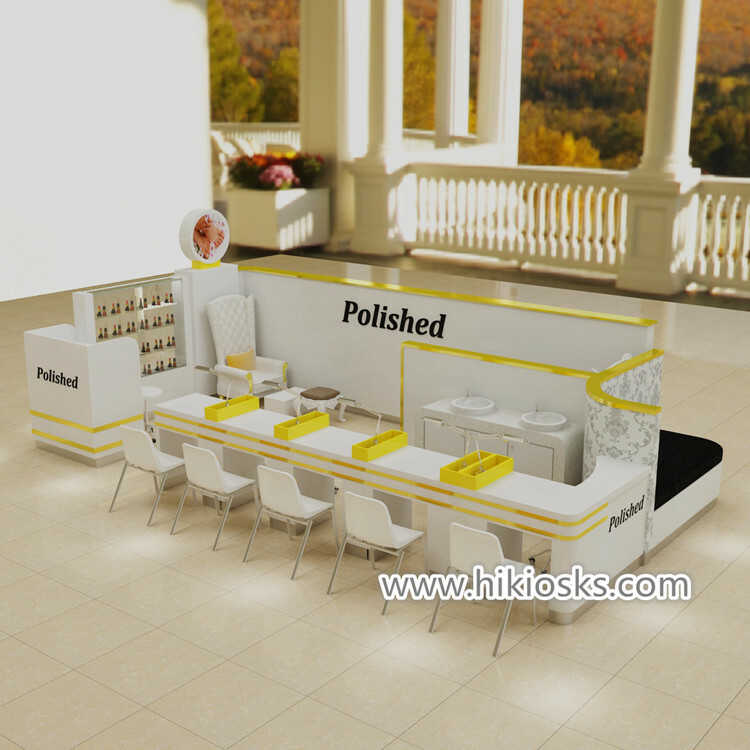 Nail kiosk project is very popular , many customer plan start his beauty salon store . 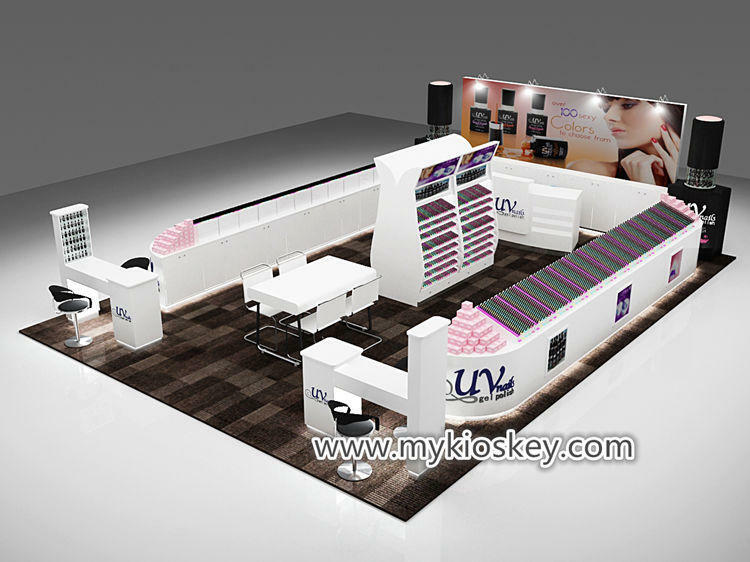 today i wanna introduce a elegance nail kiosk for your meet , hope is helpful for your business . 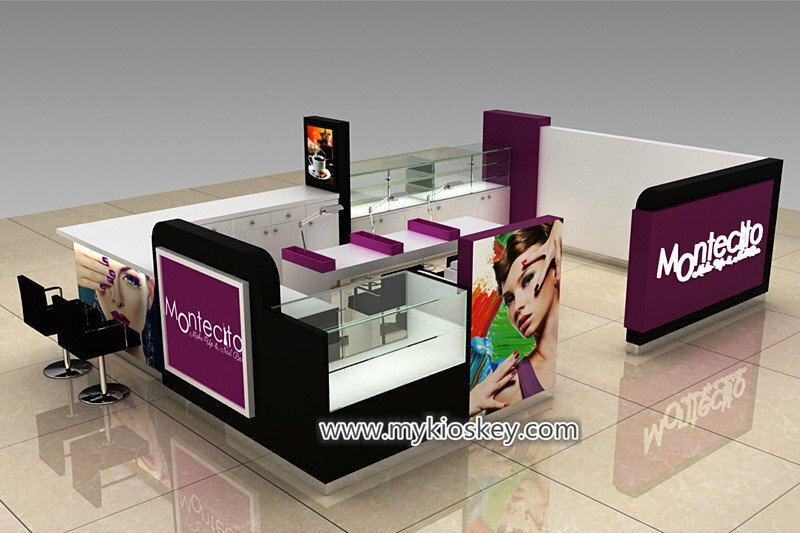 1.More introduce about this nail kiosk . 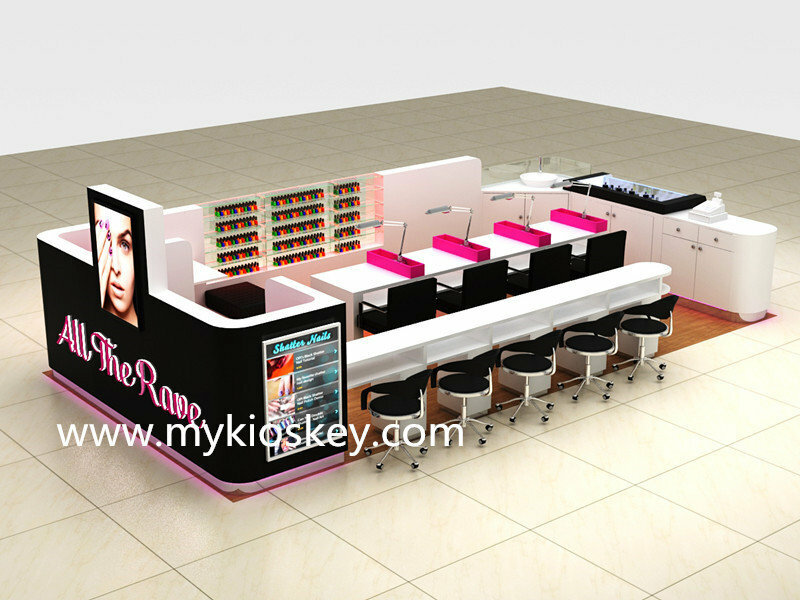 Item : nail kiosk . 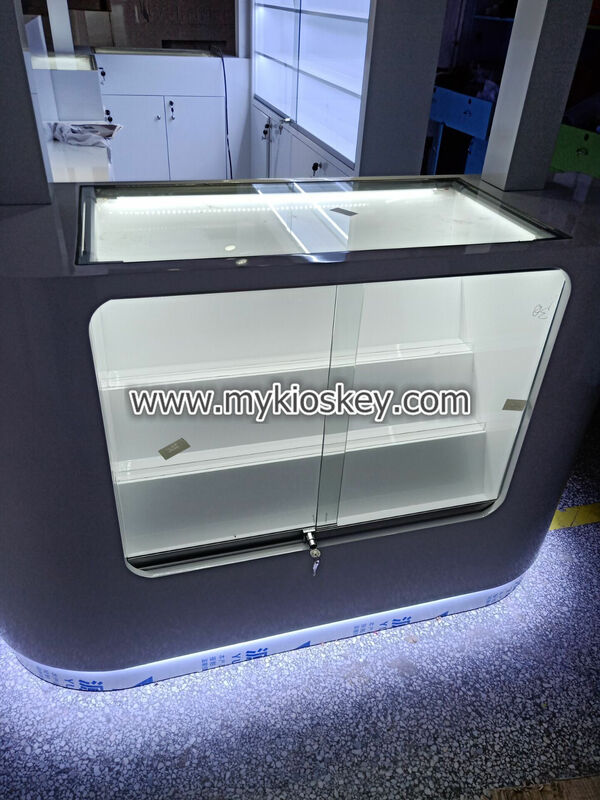 Material : MDF , Tempered glass . 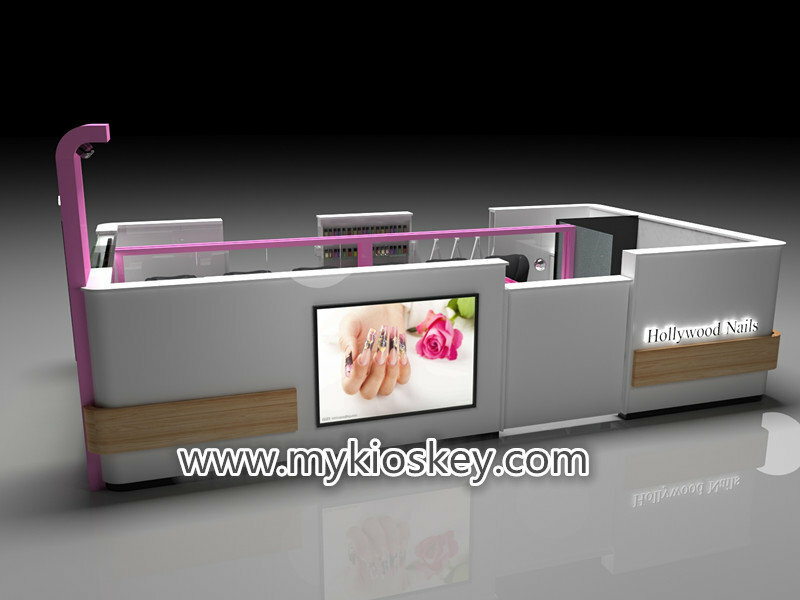 You can see whole kiosk tone is white and pink , match a little wood grain , inside have a big nail bar counter , with four manicure seats . 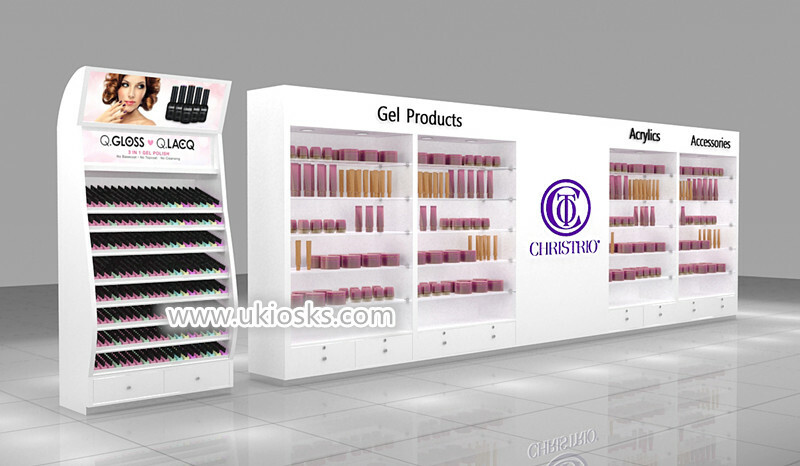 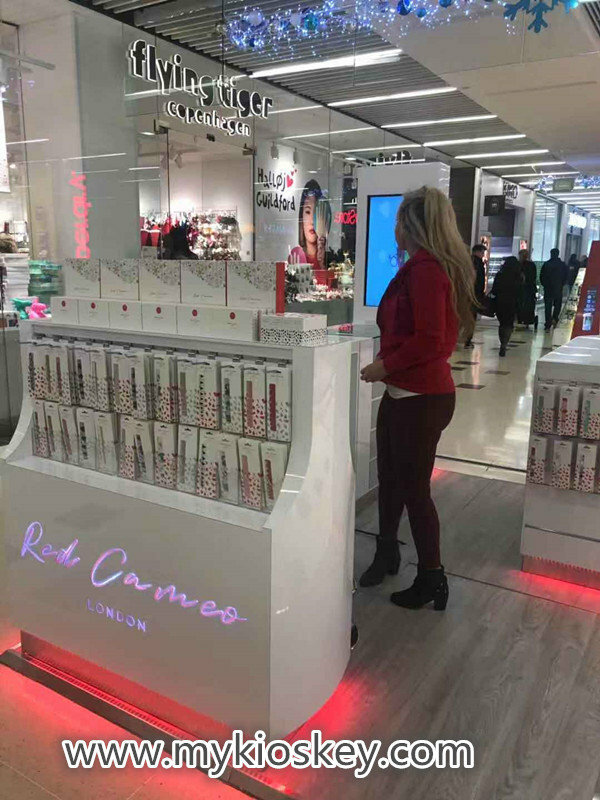 with some glass display shelves for showing nail polish , whole kiosk surface with TV and acrylic letter , it’s very bright . 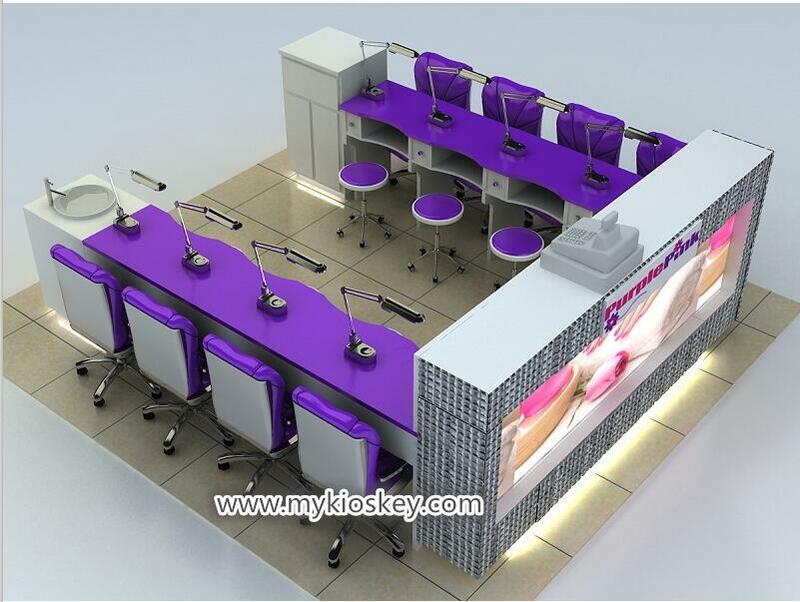 3.How can i customized a nail kiosk like this one ? 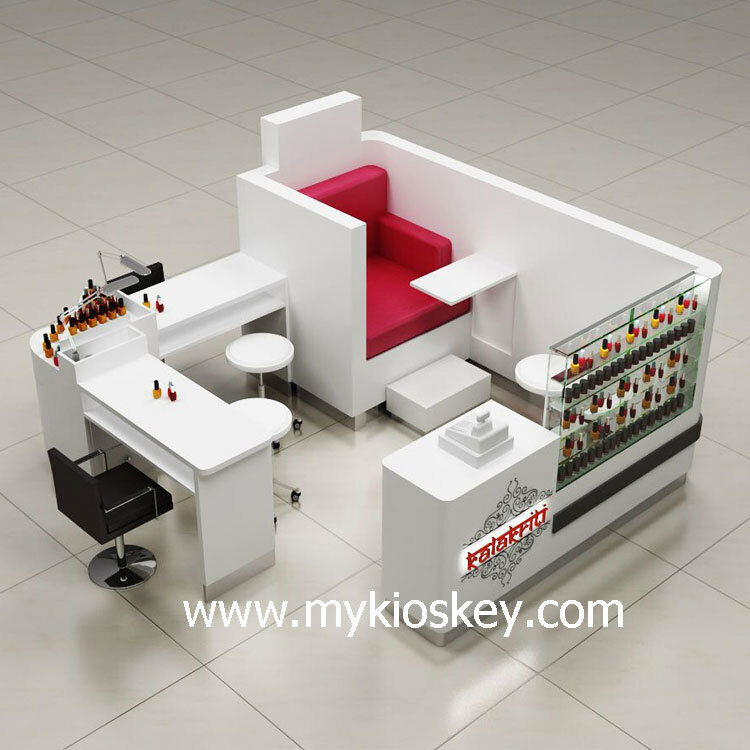 If you plan start your mall kiosk business , below is some necessary step . 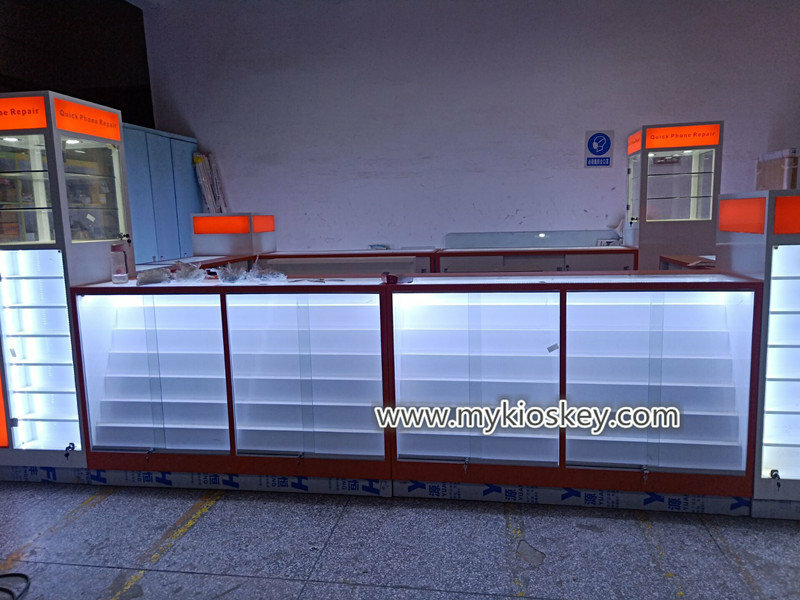 Step 1 Clear the product . 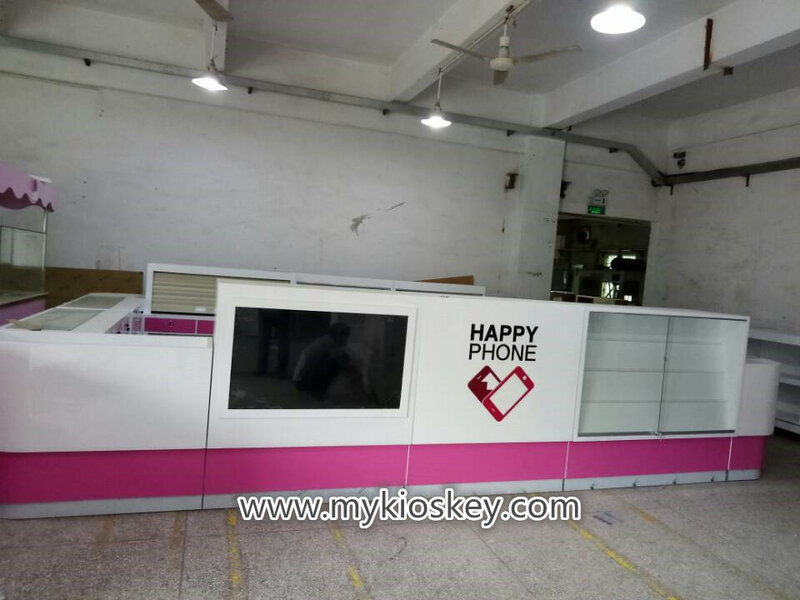 Step 2 EPE Foam inner packed, all around the product . 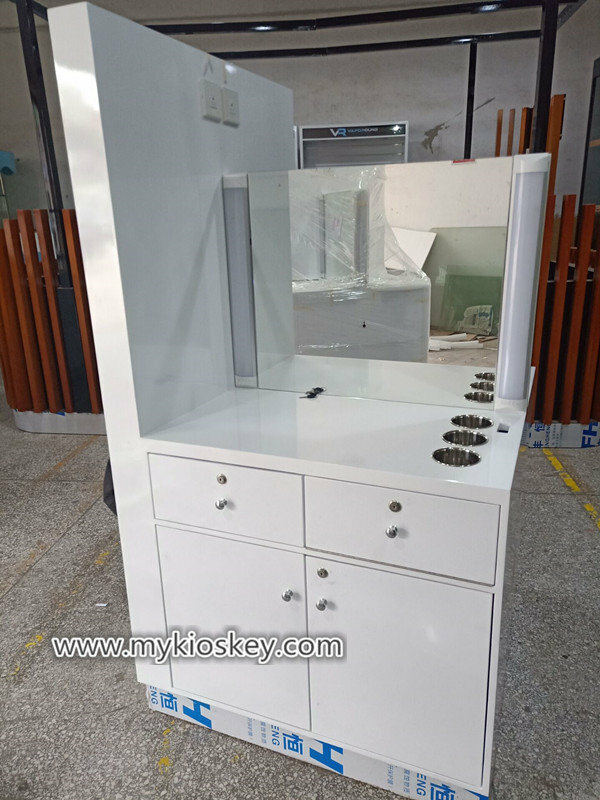 Step 3 Bubble foam each side protected . 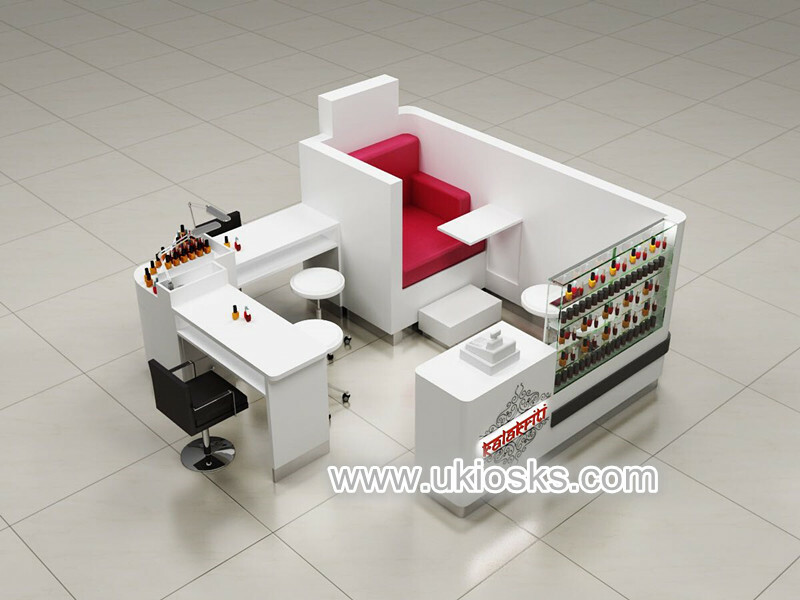 Step 4 10mm MDF with 18mm plywood frame cartons . 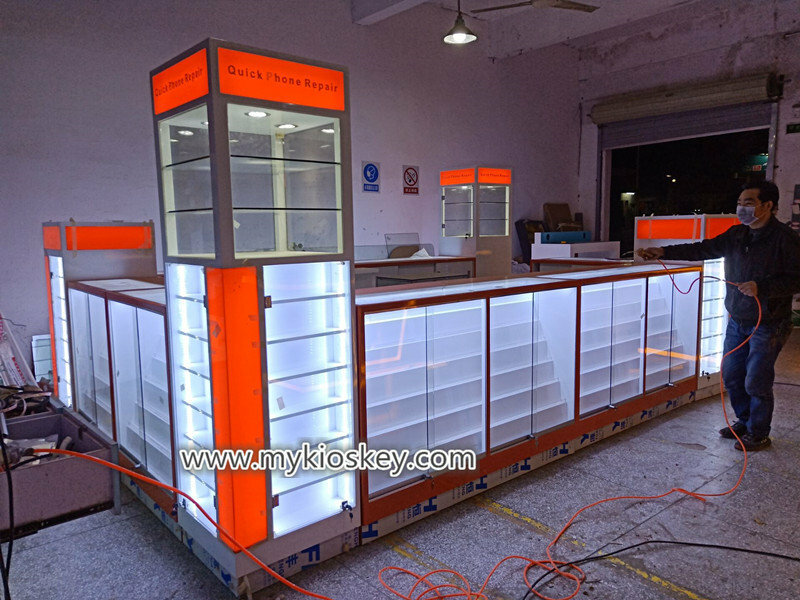 Thanks for your time and reading , if you need more further info about this nail kiosk , pls feel free to contact us , thank you !